The first Iranian woman who competed in an official boxing conflict has canceled plans to return home after being issued a stowaway in Tehran. Sadaf Khadem won a French boxer, Anne Chauvin, in a fight that took place in western France on Saturday. Her representative, Clara Dallay, told Reuters that the authorities had issued the warrants for her and the organizer of the fight, Mahyar Monshipour. Monshipour, the former world boxing champion, who was born in Iran and who is now a French citizen, started a fight after Iran opened the door to enable women to box. Hossein Soori, head of the Iranian boxing federation, refused to arrest Khadema, attributing information to "Saudi Arabia media". 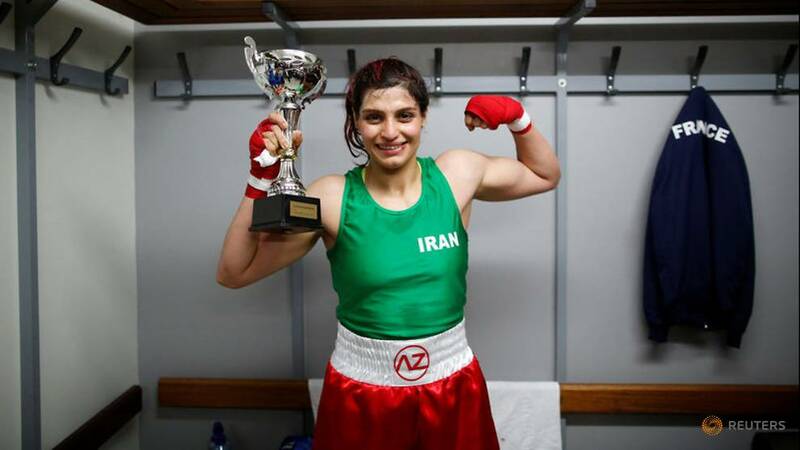 "Mrs Khadem is not a member of (Iranian) boxing athletes, and from the perspective of the boxing federation all her activities are personal," said half-official news agency ISNA. Participation of Iranian women in sporting events is very limited, although the authorities are starting to give priority to post-campaign campaigns in pressure camps in some areas. The Federation now allows women to register in the box, provided they teach and wear Islamic hijab while competing. To date, no fighting between women's fighters has taken place in Iran. Monshipour planned to travel with Iran this week to Iran. The French Foreign Ministry could not immediately comment on the case. French-Iran relations are in a tense phase after comments by French ambassador to the United States on Iranian nuclear program last week prompted an angry reaction from Tehran.